Happy WOYWW. Nearly crop day! YAY! My desk is actually pretty tidy. 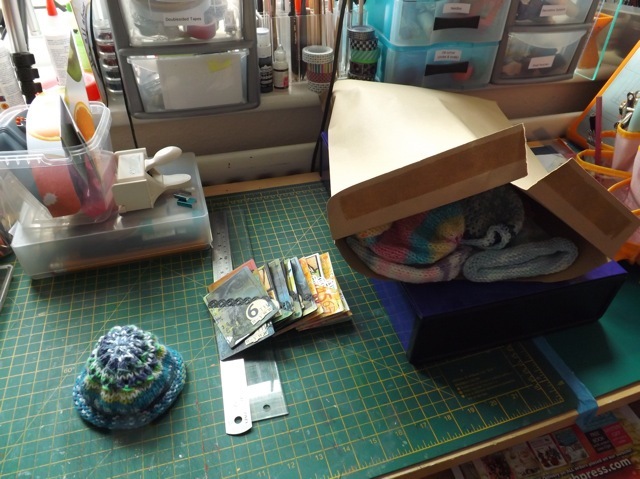 A little pile of partially done ATCs and a little hat – I’m playing around with a pattern. 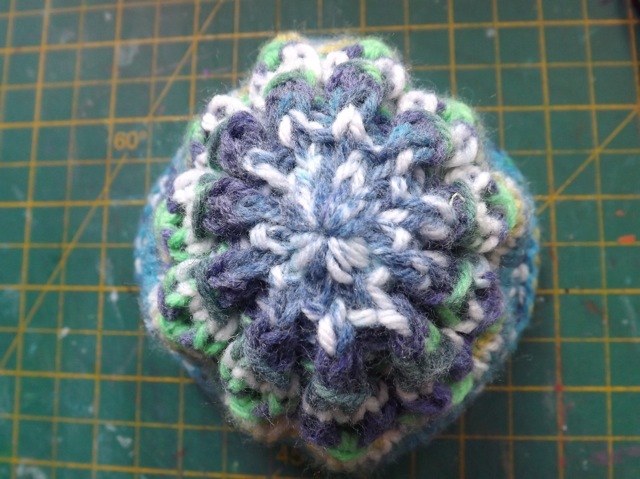 It’s cute, but hard to see in variegated yarn. I mean, I know charity knitting should ideally be quick and easy, but sometimes, just round after round of stockinette gets boring. I may write up the pattern. But not yet. I still have one element of the ATC to complete and a few more to make so I have enough to swap at the crop!